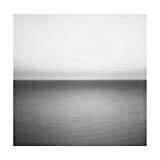 U2 is streaming a song, "Get On Your Boots", from their forthcoming No Line on the Horizon album (out March 3rd) at Last.fm. Pitchfork gives Bon Iver's new EP, Blood Bank, a 7.9. PopMatters reviews the new Robert Pollard album, The Crawling Distance. What does matter is that Robert Pollard is back in a big way with The Crawling Distance. It’s an album sure to please the long-time fans, but so damn fun and hook-filled that it should find a following in the larger indie rock community. This is an album you can build a career around. Charlotte's Creative Loafing profiles singer-songwriter Alejandro Escovedo. A conservative commentator reviews the inaugural concert at the American Spectator. On the way to the concert, I was struck by the number of street vendors selling Obama paraphernalia. Thinking I was being clever, I approached one who was selling t-shirts and asked, "Is that in the spirit of the day? I mean shouldn't we be sharing, and about change, and giving them away?" The Nation also reviews the event. "Yeah," he replied, "you wanna free shirt?" Street vendor: 1, me: 0. The Minneapolis Star Tribune talks to Twin Cities poets about Obama commissioning a poem for his inauguration. "Obama hasn't commissioned a poem so much as he's commissioned someone to make the moment mean something bigger than ceremony or political poses," said Todd Boss, a St. Paul poet. "To poets, and to those who draw meaning from poetry, the only real shock is that this kind of thing doesn't happen more often." PopMatters profiles Shep Fairey, the designer behind the Obama campaign's "Hope" poster. “Obama is a turning in Shep’s career because ‘Hope’ wasn’t just for Obama it was hope for him too personally,” Alonzo points out. “It was hope in a way he had never seen or felt before.” Obama himself loved the image. He sent Shep a personal letter of thanks. Shep truly had gone mainstream when his Obama appeared on the cover of the Democratic National Committee Survival Guide. The image was a great benefit to the campaign but it was also a profound turning point in Fairey’s work. He had taken a completely different, more optimistic, tone. Sky Larkin singer/guitarist Katie Harkin breaks down the band's new album The Golden Spike track-by-track at Drowned in Sound. NPR's Day to Day interviews the New Pornographers' A.C. Newman about his new solo album, Get Guilty. Admittedly, most of the 12 songs here do eventually creep up on you. But even the more directly delightful confections – the jubilant "The Palace at 4 a.m.," the "Yo ho! "-ing "The Heartbreak Rides," the whimsical acid-folk ditty "Elemental" – throw a lot of flute- and mandolin-adorned fussiness and Donald Barthelme references in the way, while most of the slower numbers flail around in their baroque finery with nowhere in particular to go. As part of its 1000 novels everyone should read series, the Guardian lists the best graphic novels. Rotor Blog lists the top social music sites. Music Like Dirt lists the top 200 tracks of 2008, most with mp3 downloads. Daytrotter's Monday session features in-studio mp3s from Chairlift. Southern Shelter shares mp3s of the Drive-By Truckers Athens performance from January 17th. T-shirt of the day: "I'd Rather Play Records Than Break Them"
Amanda Palmer has a four-part tour documentary, All Access online at YouTube. The Minneapolis City Pages interviews Annuals' bassist Mike Robinson. AfterEllen explains why "Women in Rock" magazine issues are an insult. The Daily Cross Hatch wraps up its interview with cartoonist Bob Fingerman. New York Magazine profiles Antony Hegarty of Antony and the Johnsons. The Brown Bookshelf is a website that highlights African American young adult authors. Go Healthy Go Fit collects fitness bloggers' favorite workout songs. The Metafilter community lists music blogs. Daytrotter's Monday session features in-studio mp3s from Cale Parks. The New York Times lists the books that shaped Barack Obama. IGN lists great rock anthems. The Futurist offers mp3s from Peasant's recent WOXY Lounge Act in-studio session.